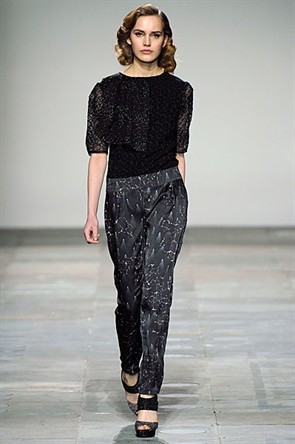 Michael van der Ham clashed rich metallic fabrics with knits and mixed and matched separates to create a hint of 30’s nostalgia in a very current collection. 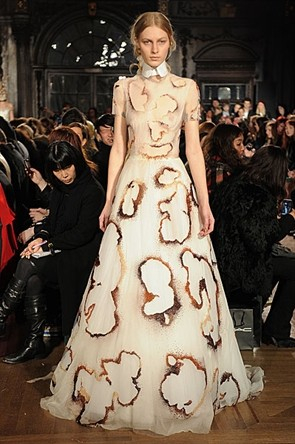 Giles Deacon presented an opulent, dramatic collection of seemingly semi-destroyed dresses and mannish tuxedos that could easily be inspired by the fire at Thornfield in Charlotte Bronte’s ‘Jayne Eyre’. 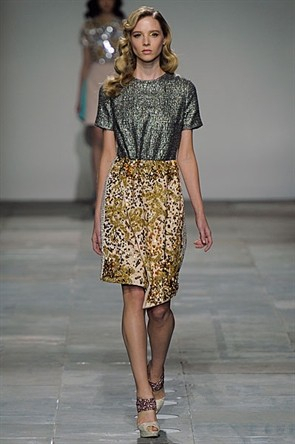 This was the first time that the diffusion line has ever been seen on the catwalk. 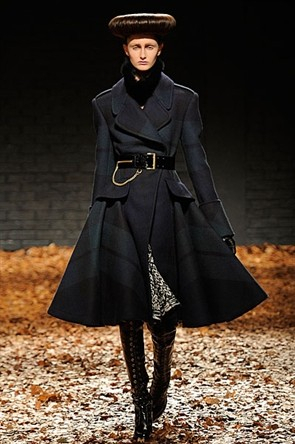 The looks were striking and tough mixing military with punk and regal ballgowns with leather accessories.